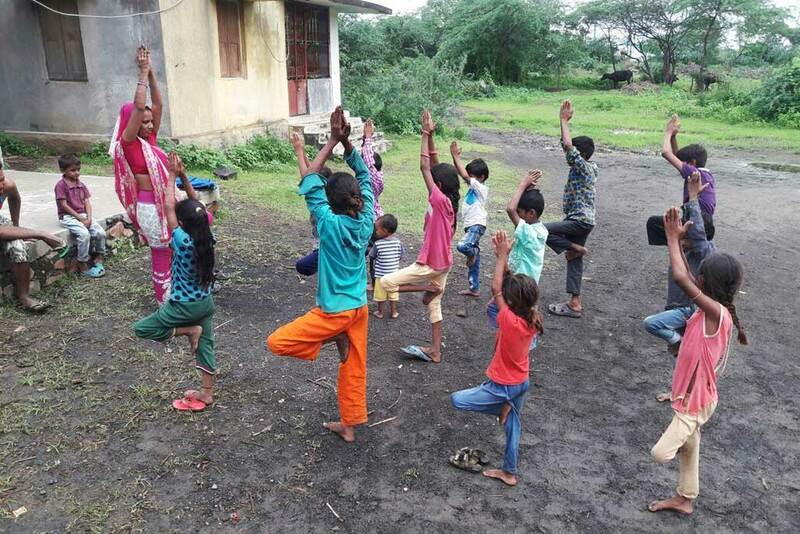 Village Coordinator Kajalbhen teaching yoga to children in Nani Borvai, Gujarat. Children are learning how to stretch, twist and instill peace in their hearts. Yoga classes are now a regular part of the day in schools across our villages. In fact, at last count, almost 300 kids were registered. It can be a jump to convince students and parents that it is worthwhile to invest time in the study of asanas and meditation. This is time that children can use for their studies. However, the fact of the matter is that as little as 20-30 minutes a day can actually support and increase a child’s physical and mental faculties to the point where it can improve their grades. Of course, as is natural for children, they have a lot of fun in class as smiles spread across their faces. But the surprising thing is that they also attain meditation concentration very easily once they are properly trained on how to focus. Kids are good meditaters! 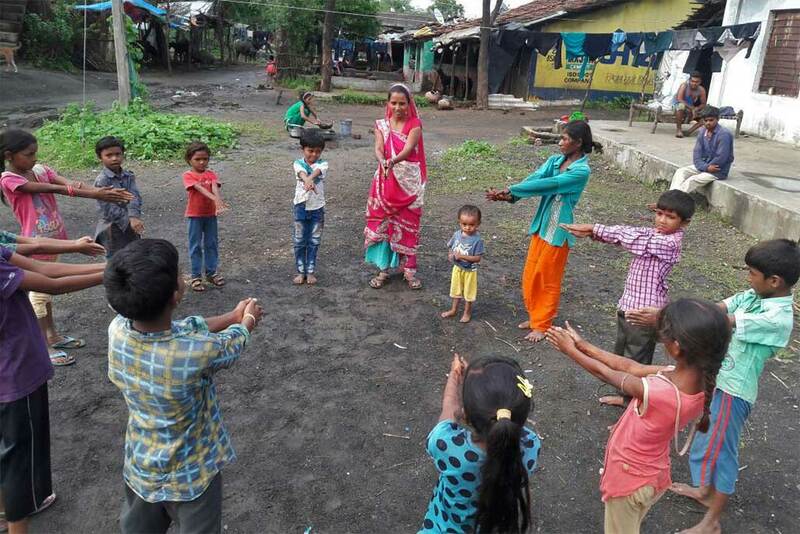 Tree Pose is a natural for these children in Nani Borvai, Gujarat.